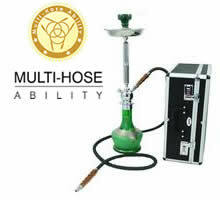 A 3 Hose Hookah offers greater flexibility than one hose hookah pipes. 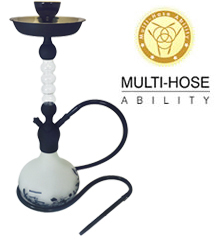 A 3 hose hookah allows for groups of hookah users to share a single Hookah with ease. 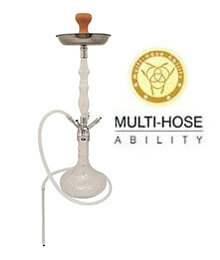 Many hookah smokers find that a hookah with 3 hoses strikes the perfect balance of convenience and quality. 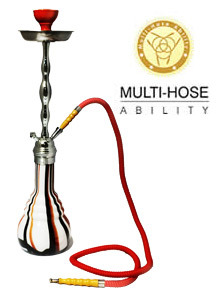 Three hoses allow for larger groups than two hose hookahs, yet always deliver a smooth hit. 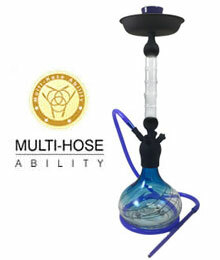 If you're looking for more friends to add to the hookah party, go with a 3 hose hookah from SouthSmoke.com! Sometimes you want the option to have a smaller, more intimate hookah session. 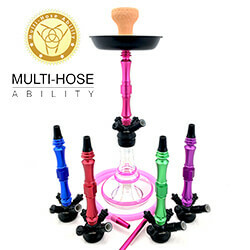 Many three hose hookahs may be converted to a two hose hookah or one hose hookah by utilizing a pressure release valve and stem cap in place of the hookah hose adapter port. 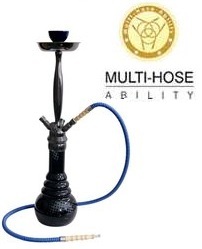 And if you're making room for more at your hookah lounge, 3 Hose Hookahs can usually be converted into 4 hose capable hookah models depending on the flexibility that the hookah model may offer. 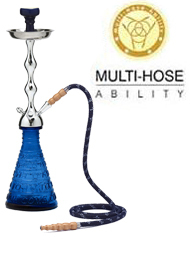 Whether you increase or decrease the number of hookah hoses, choosing a 3 hose hookah model is a great start. 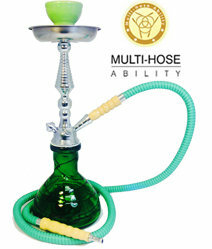 Now that you've decided on a three hose hookah, you'll want to choose a style and design that suits you. 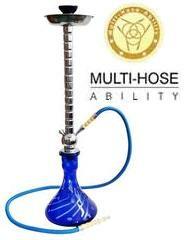 Will you choose a tall exotic Mya Saray hookah with a crystal-clear glass vase? 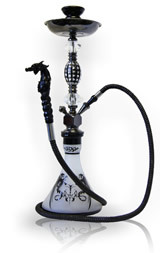 Or a Vapor hookah with intricate painted designs that are as appealing as any art piece? 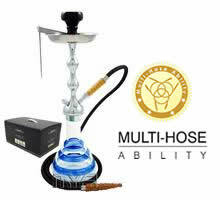 You'll find 3 hose hookahs that meet both of these needs. 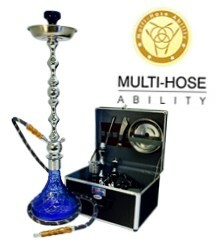 Exotic, modern, and traditional style 3 hose hookahs are available at SouthSmoke.com in a range of sizes. 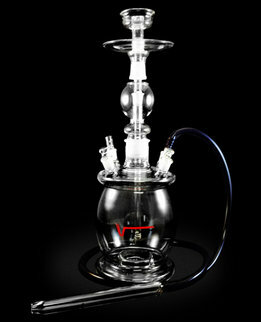 Made from high quality materials, these hookahs will provide you with years of enjoyment. 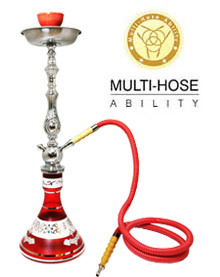 Most 3 hose Hookahs contain auto seal capability whereby the additional hose ports are automatically sealed when one of the hookah users is not smoking, allowing for a smooth transition between each hookah smoker. 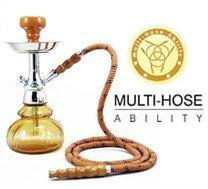 Make sure to browse the many different hookah configurations offered at SouthSmoke.com when deciding on the next Hookah purchase. 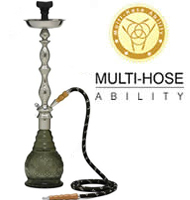 Just look for the "multi-hose capability" seal on each product page! 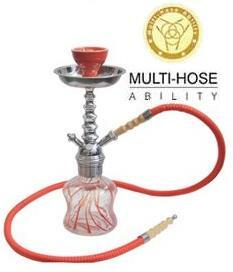 Find a Flexible 3 Hose Hookah at SouthSmoke.com! 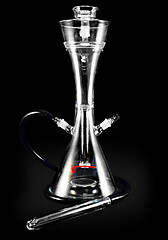 Remember that three hose hookahs allow the users to smoke one after another, but not at the same exact time. But don't let this put a damper on your excitement for 3 hose hookahs! 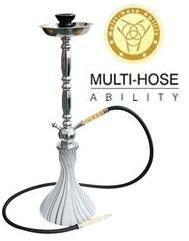 Hookahs with multiple hoses are still a convenient way to increase how many people you can have at the hookah. If you need help finding one that meets all of your requirements, please contact us!